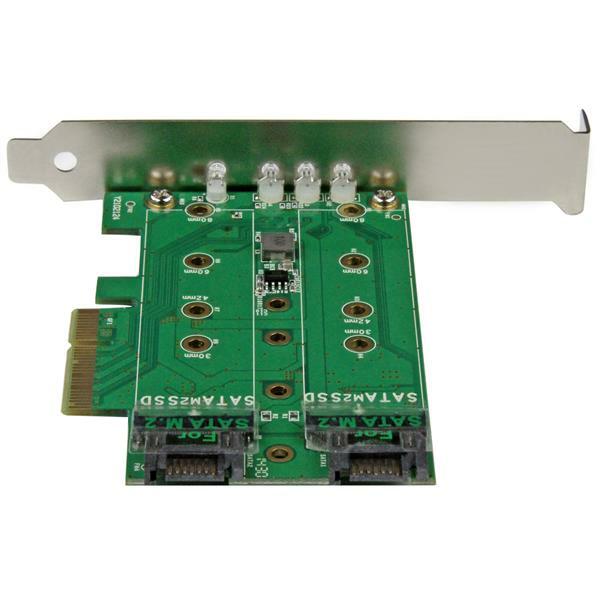 This 3-port M.2 SSD adapter card is one of the only cards that supports both PCIe and SATA-based M.2 SSDs (solid-state drives). 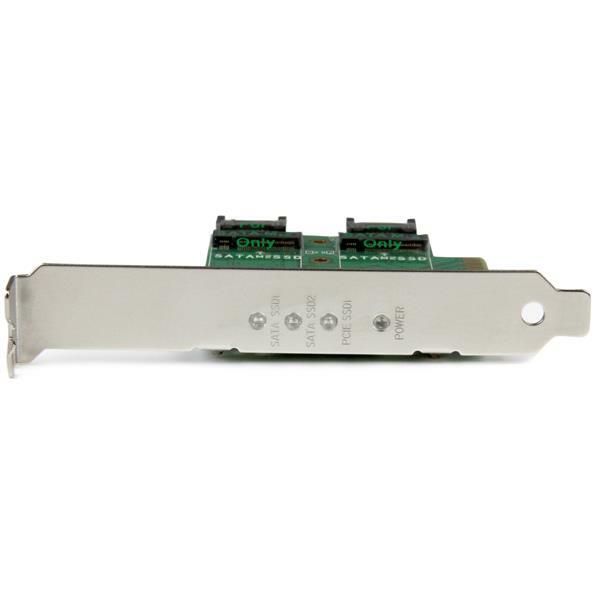 It’s a versatile way to expand the overall storage capacity of your desktop PC or server. Plus, because it supports a high-speed PCIe M.2 drive, you can increase the speed and performance of your computer. If you need a simple and discreet way to expand your computer’s storage, then this card can help. The card provides a platform for adding up to three M.2 SSDs to virtually any computer that has a PCIe slot. It supports common M.2 SATA SSDs, as well as newer high-performance M.2 PCIe drives. Now, you have a simple and effective way to expand the storage of your computer, regardless of the M.2 drive types you are using. 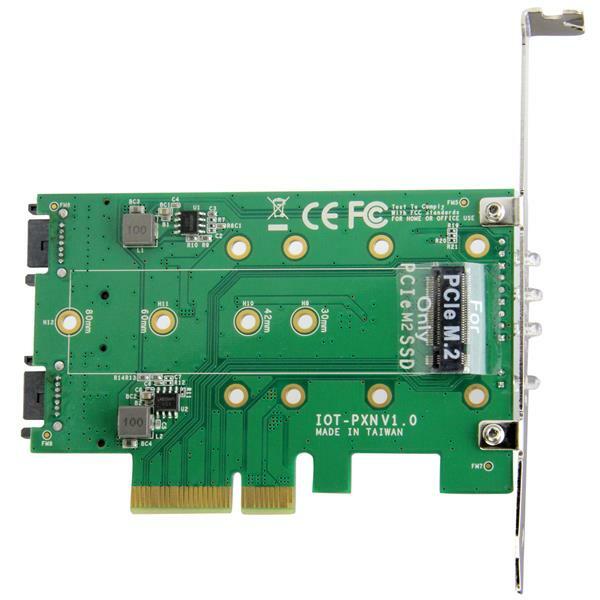 When you couple this card with a PCI Express based M.2 drive, you can give your computer’s performance a noticeable speed boost. With support for PCI Express 3.0 (up to approximately 40Gbps), you can install the latest high-performance M.2 PCIe SSDs inside your computer. With faster performance, you can get more work done in less time. Due to their performance and size advantages, M.2 drives are commonly used in laptops. 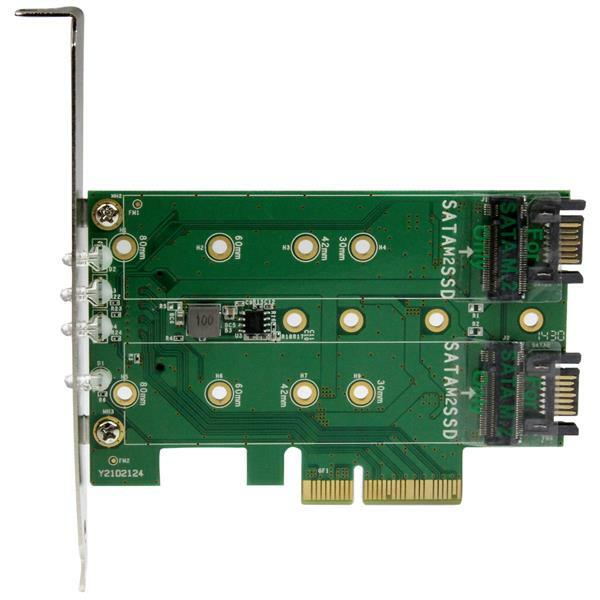 If your laptop has failed, but its M.2 drive is still functional, then this card can help with data recovery. Once the M.2 drive is installed and the data recovery is complete, you can continue to use the drive for storage and backup purposes. This M.2 card lets you take advantage of the size and performance benefits of NGFF M.2 SSDs. M.2 drives are smaller than typical platter drives or mSATA-based SSDs, so you can install them in small form-factor PCs and servers, or in tighter areas within your computer case. You can rest assured that your M.2 SSDs are compatible with the adapter card. It supports the most common drive sizes, including, 2280, 2260, 2242 and 2230. The PEXM2SAT32N1 is backed by a StarTech.com 2-year warranty and free lifetime technical support. Note: When installed in a compatible operating system, the card is natively supported and doesn’t require any additional drivers or software. However, your operating system must natively support PCIe SSDs (NVMe - Non-Volatile Memory Express). 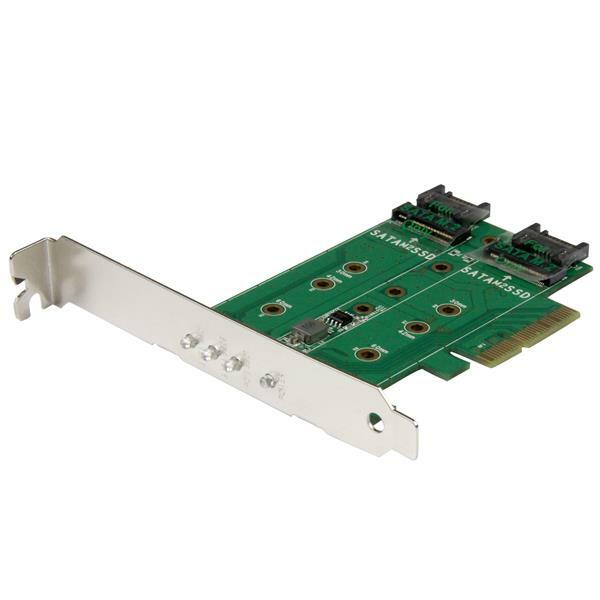 Both SATA and PCI Express M.2 hard drives can be used with this device, but the drives must be placed in specific slots. For more information about where to place drives in this device, refer to the product manual.